When Apple released the iPhone X last year, almost every major Android vendor mocked the weird notch at the top of its screen. The notch has proved to be a controversial design choice. A lot of users don’t like it. But few people would deny the fact that it helps increase the screen space on a smartphone, and pushes further in the direction of a fully bezel-less design. It takes a lot of courage and conviction to introduce such radical design changes. Huawei claims it considered the display notch 3-4 years before the iPhone X launch, but it didn’t implement the technology until recently. 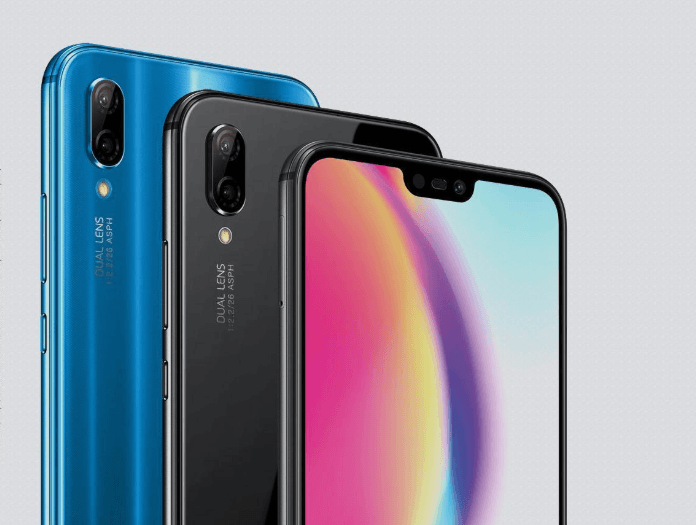 Recently, Huawei introduced the P20 and P20 Pro smartphones with a top notch similar to iPhone X. The phones have a triple camera system on the back. In fact, camera testing firm DxOMark says the Huawei P20 Pro has the world’s best smartphone camera. Huawei is not the only company to borrow the iPhone X display notch. LG, Asus, Oppo, Vivo, OnePlus, and many others have also adopted the notch. Li Changzhu told Forbes that Huawei decided not to launch notched smartphones because it thought consumers would not accept it. Buyers, especially in China, tend to like symmetry. They would prefer square or rounded corners, so the notch was “not perfect in Chinese culture.” However, the iPhone X proved that the notch could be really useful in offering additional screen space by moving the status bar to the sides of the cutout. He told Forbes that Huawei has become bolder than before in pushing boundaries. The company demonstrated it by offering a triple-camera setup on the P20 Pro. The P20 and P20 Pro have Leica-branded cameras and a unique ‘Twilight’ color that changes its hue depending on the light. Li said many in Huawei’s smartphone development team thought the Twilight color was “too much.” But he told his team that they don’t represent the entire consumer base. The P20 and P20 Pro have been praised widely for their beautiful design, performance, and camera. Apple is reportedly working to reduce or remove the cutout from its 2019 iPhones. However, the company remains committed to the display notch for now. KGI Securities analyst Ming-Chi Kuo claims Apple will release three iPhone models in September this year, and all of them will have a bezel-less design with the top cutout. All the three handsets would get the iPhone X’s Face ID and Animoji features. According to Kuo, Apple’s flagship 2018 lineup would consist of a second-generation 5.8-inch OLED iPhone X, a 6.5-inch iPhone X Plus with OLED display, and a 6.1-inch model with an LCD screen. The OLED models would get a dual-camera system, but the LCD iPhone would feature only a single camera on the back. Apple is also said to remove the 3D Touch functionality from the LCD variant to reduce its cost of production. According to the rumor mill, the second-generation iPhone X would start at $899, down from $999 for the iPhone X. The larger iPhone X Plus would have a starting price of $999. Ming-Chi Kuo told investors in his latest research note that Apple was preparing to launch single-SIM as well as dual-SIM variants of the LCD iPhone. The single-SIM variant would be priced between $550 and $650, while the dual-SIM model would cost between $650 and $750. Apple has never offered a dual-SIM iPhone. Dual-SIM devices are particularly popular among travelers and consumers in Asian markets such as China and India. If the report turns out to be true, the dual-SIM LCD iPhone could help boost Apple’s market share in Asian countries. However, the US will likely get the single-SIM variant. Despite its controversial display notch, last year’s iPhone X proved highly profitable for Apple. According to data from Counterpoint Research, the iPhone X grabbed 35% of the smartphone industry’s profits during the fourth quarter last year. That’s quite surprising because the phone was available only for the last two months of the quarter. In total, Apple accounted for more than 86% of the smartphone industry’s profits.